The best beauty advice doesn’t come from a blog or magazine. In my family, it was passed down from generations of strong, beautiful, happy women. So in celebration of Mother’s Day, here are the top 4 beauty tips from the OG PJA: my mom. DON’T TOUCH YOUR EYEBROWS Mother knew best: bold brows are timeless. Trim lightly or pluck some strays; but if you need a little more maintenance, leave it to a professional. I fill mine in with Glossier’s Boy Brow or Kat Von D’s 24-Hour Super Brow Long-Wear Pomade in Taupe for that Brooke Shields look. STOP PICKING Your face, that is. With age I’ve found that the less I touch my face, the better my skin looks. Here’s a few of her other tried-and-true skin tips: exfoliate with a mild scrub once a week; wash that makeup off every night; moisturize and apply eye cream; and use sunscreen every day. So, yes mom. You were right. Happy? HAVE FUN I love to play with makeup and I’m so lucky to have a mom that encouraged me to try new things. Put on a face mask, wing your eyeliner, try a new lipstick; you’ll only be out a few bucks and maybe you’ll gain a new favorite look. PLAY WITH YOUR HAIR After every bad hair cut or home dye job, my mom would comfort me with this simple fact: hair grows. 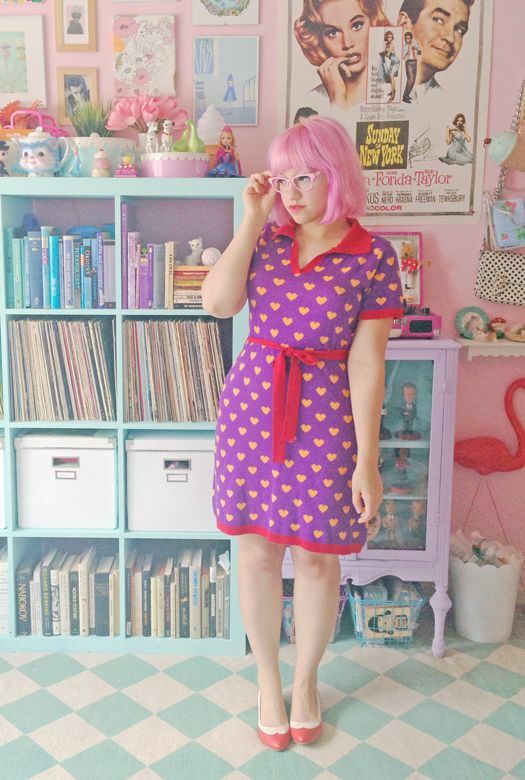 Don’t be afraid to try a new style or color; it’s just hair! The heavily Instagrammed Prism Airbrush Spray temporary color by Hush is a terrific option for folks curious about the rainbow hair trend. It’s formula doesn’t leave hair sticky or stiff making it all the more fun to layer and play with. My dear friend and talented hair stylist was so kind to sit down with me for an interview for Groupon! In light of this article, I compiled a short list of my favorite hair moments from this week. Love the new bright pink bob Kate Gabrielle of Scathingly Brilliant is sporting these days. 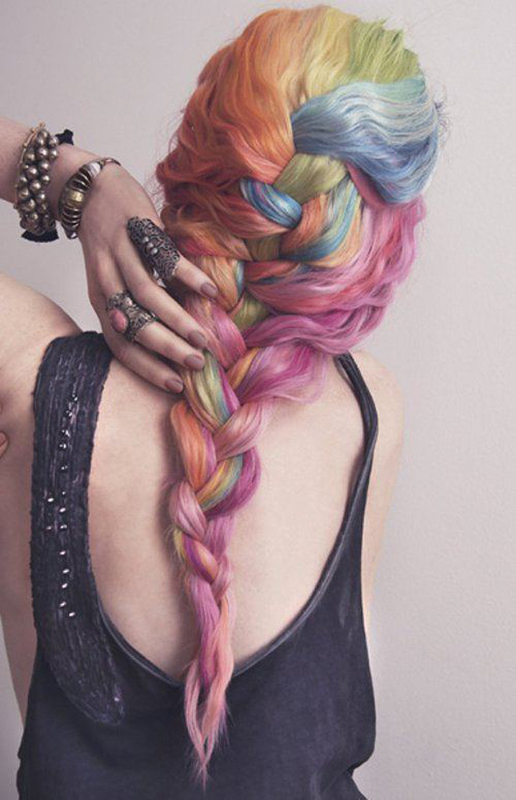 If only I were brave enough to sport technicolor dream hair. 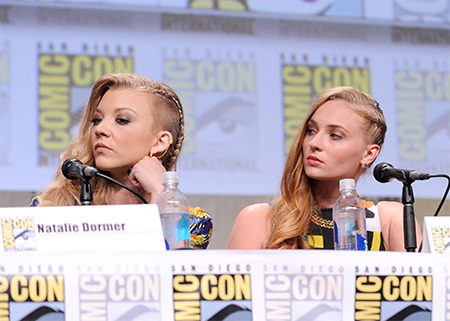 Comic Con has come and gone, but the ladies of Game of Thrones’ stellar hair styles reign on! 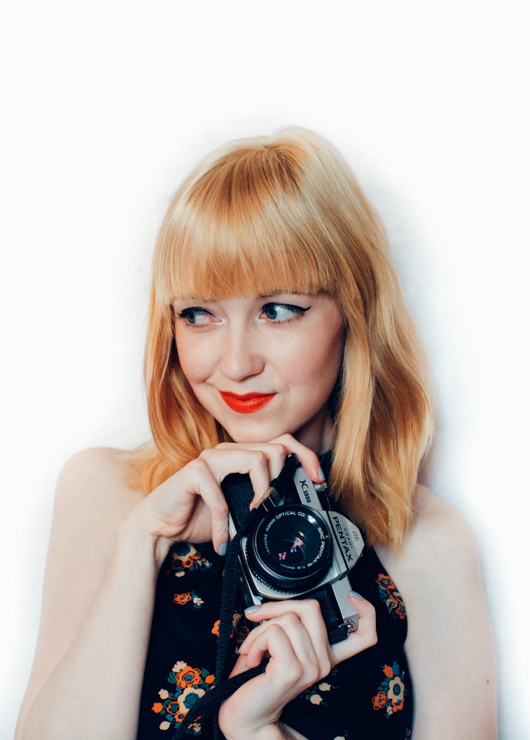 Rebecca’s got blonde ambitions…..and I LOVE IT! Read the Groupon article (here) for tips to keep your hair healthy all summer long!